Abertay recently sponsored and mentored Craigie High School at The George R Donald Fund Schools Enterprise Challenge, the Dundee and Angus Chamber of Commerce youth enterprise event to recognise outstanding achievement in commercial subjects at Dundee’s secondary schools. The annual schools challenge is an opportunity for Chamber members to work with young people in local secondary schools and to help ignite their passion for business and enterprise. 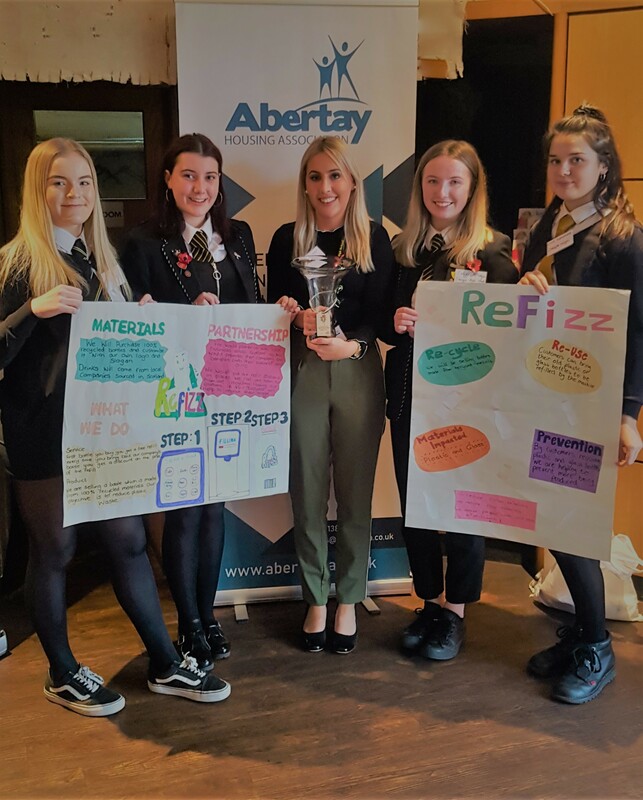 The team of young entrepreneurs from Craigie High School came up with a fantastic business idea for reducing plastic waste going to landfill by reusing and refilling bottles. There was fierce competition between the schools but their business idea and hard work won them the Pupils Choice award.